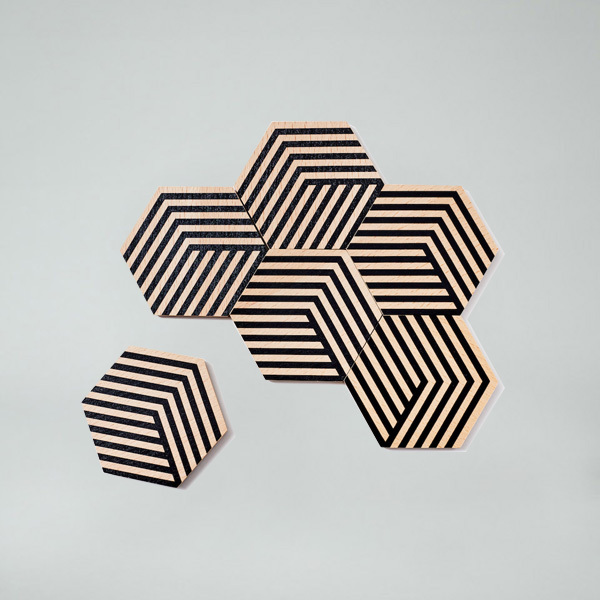 Black Optic Table Tiles by Bower. 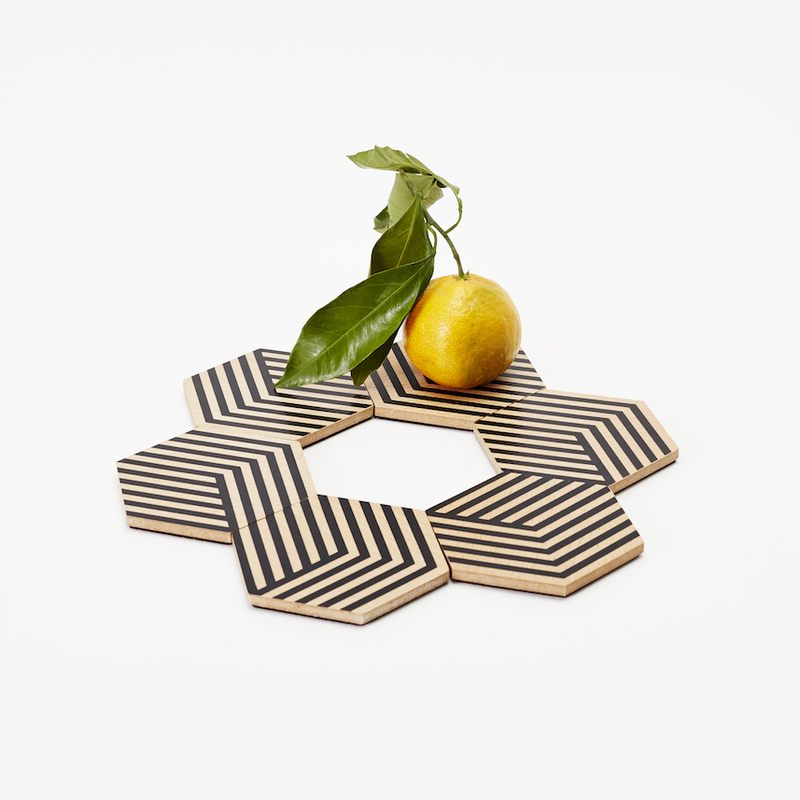 This set of six coasters is designed to deceive the eye, giving the impression of 3-D objects on your tabletop through the use of color and geometry. Great for entertaining but also for decorating and designing your own playful arrangements.